Insert & overmolding are two of our specialties, a capability reserved for only the most detail-oriented molder. In this process, we place an object in the mold and inject plastic around the component to form a mechanical bond. In the case of elastomeric overmolding of hard plastic, the bond is also chemical as an elastomer bonds with the substrate material such as ABS, ABS/PC, nylon, PC, or PEI to name a few. Due to the often extreme injection pressures involved, this process requires special attention to ensure that plastic goes only where intended. One needs to precisely shut off or hold the component, vent the air out, avoid flow eddies that can leave a void, and minimize flash. Overmolding adds another dimension to the challenges of manufacturing, but the results can be outstanding. 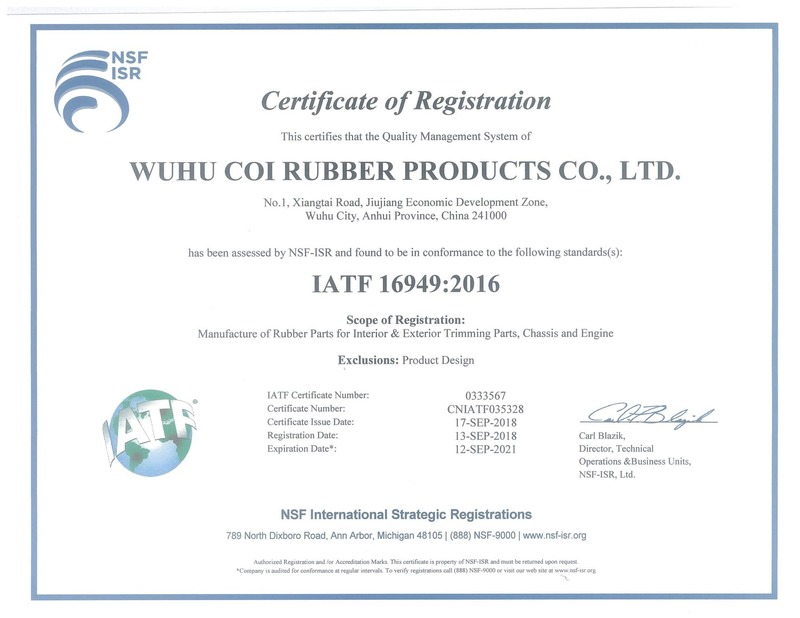 Coi Rubber has extensive experience in overmolding rubber onto plastic substrates. We can use a mechanical bond, a chemical bond, or both to assure our customers that our over-molded components will function as designed. Our engineering experts developed patented technology that enables fully automatic molding of two or three component part assemblies. This form of injection molding is used to mold synthetic rubber to plastic and metal. With this technology, we can produce assemblies of rubber components and plastic components in a single automated system that typically requires separate molding and assembly operations. This system makes production of such assemblies more efficient and a lower cost overall. The benefits of multi-component injection molding include reduced labor, work-in-process inventory and improved quality.